Raff Begins With Family. And Has Been Built By Families And Friends For Decades. 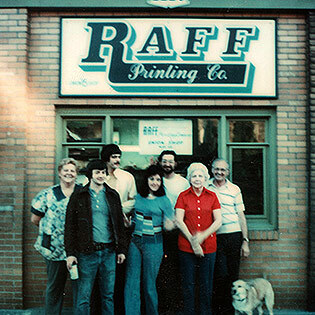 | Raff Printing Inc.
Our Story Is Simple: Family Owned. Technology Driven. Pittsburgh Proud. For over 60 years, The Aheimer family has largely picked a vast majority of their employees from the Arlington and South Side Pittsburgh neighborhoods in which they grew up. Friends. Cousins. Neighborhood kids. High school grads. Servicemen. Our business is like an extended family—one that happens to feature the world’s most advanced printing technology. To be the best, we must use the best for our customers. All while representing the no-nonsense Pittsburgh work ethic, good humor and proud history of our founding family. Time-saving, quality-controlled, best-in-class total print management solutions from start to finish! Raff Begins With Family. And Has Been Built By Families And Friends For Decades. Our Peoplehave an average tenure of 17 years working for Raff. Enough said? Contact Raff Printing To Discuss All Your Printing & Distribution Needs. 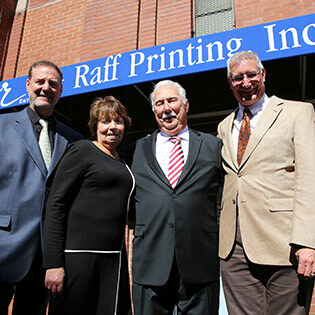 Make Raff Printing in Pittsburgh your one-stop, single-source partner for whatever you need to print, bind, fulfill, ship or mail! Brokers, Agencies, Businesses and more--contact us today for fast, high-quality professional printing and service that's second to none! The Personal Touch Of An Original Pittsburgh Printing Company Since 1951. Serving Western Pennsylvania plus agencies, businesses and brokers from coast to coast. 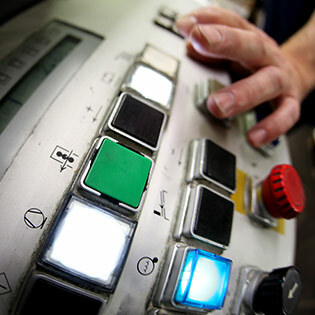 Raff Printing combines advanced digital and offset print capabilities with full-service support from start to finish, including variable data insertion, custom dies, binding, fulfillment, shipping, mailing & more!